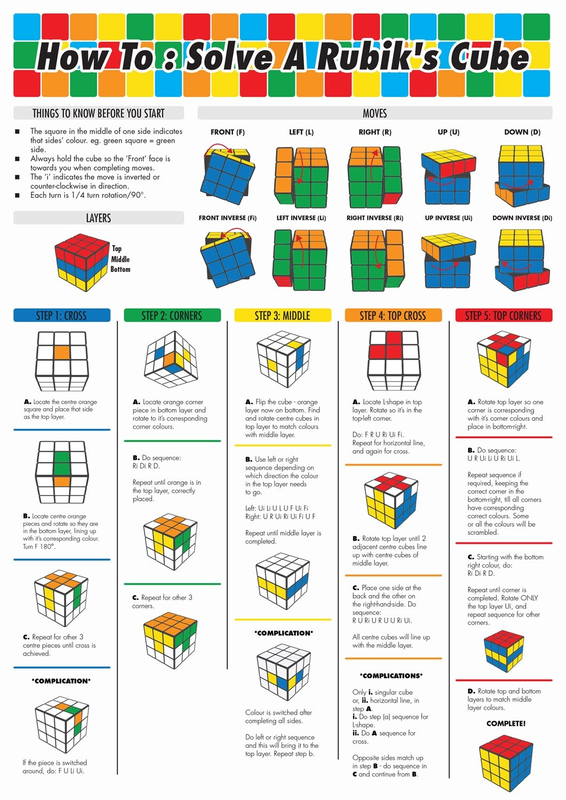 How To: Solve a Rubik's Cube #Infographic ~ Visualistan '+g+"
This five step guide will take you through everything you need to know when it comes to solving the Rubik’s Cube. 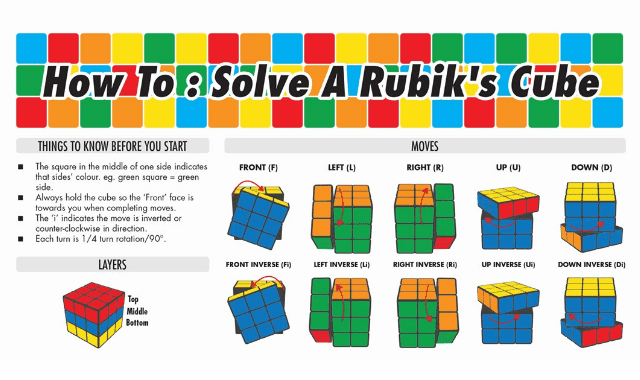 It is really simple, you just have to follow the steps and you will be solving the Rubik’s Cube in less than two minutes (yes, that quickly!). This guide on How To: Solve a Rubik's Cube will take about 45 minutes to learn, but once you have you can impress all your friends with how you can solve one of life’s great mysteries: How To Solve a Rubik's Cube.